Yep, it’s that time again! We, at Parcel2go, are launching another competition for all of our great customers! 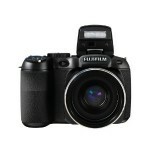 We are offering those who send a parcel with Parcel2go the chance to win a Fujifilm FinePix digital camera. Rules – You need to include the link to be entered into the competition. This means we can easily track all of your entries! And you can enter more than once! The more times you enter, the greater chance you have of winning! Closing date – The competition is midnight on the Monday 18th February.